Social media has become a powerful way to reach people across the world. Mobile devices have made it an even more effective marketing medium. However, it also makes things more complex. You need to follow a different approach when you use social media on mobile devices. Here are some things that you will need to keep in mind. You will want to look at your social media profiles on mobile devices. You may find that many of the extra features that you added to your pages are not seen on an iPhone or Android. Most mobile devices won’t let you look at an entire Facebook timeline. You may want to try pinning a couple of your posts so that your followers will always see something when they try looking at your timeline. A number of studies have shown that mobile users are more likely to visit a business when they see a recommendation. 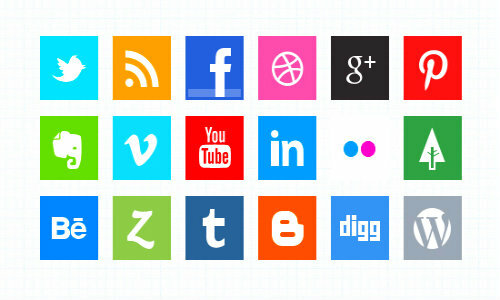 Facebook, Foursquare and many other social networking sites have recommendations for mobile devices. You will want to include some that will encourage them to visit you. Users should be able to share content on their social media devices. You will want to make sure that the social media plugins on your website are compatible with mobile devices. You may even want to create a separate site specifically for mobile devices. Make sure the call to action on any mobile sites is clearly visible. Keep your content as concise and relevant as possible. Make sure that mobile versions of the site load quickly. Mobile users are more demanding, but they are often more likely to make purchases on the spot as well. You will want to make sure that you do everything necessary to encourage them to make a purchase. Many mobile marketers are tempted to use automated tweets and updates to reach their followers. These tactics have been found to be ineffective most of the time. People usually want instant answers when they are using their mobile devices. They don’t like receiving an automated response to their questions with some generic message. Try to be as genuine and responsive with your updates as possible. You want your followers to tell people when they visit your business. The best way to do this is to encourage them to check-in on Facebook and Foursquare. This will help them tell their friends to visit your business and increases the likelihood that these sites will tell others to visit your business as well. Kalen is an Internet marketer and entrepreneur. He always looks for new tools such as Mylife to streamline his marketing techniques.